Students in fourth grade at Michael A. Maroun Elementary attended a special send off on June 25. 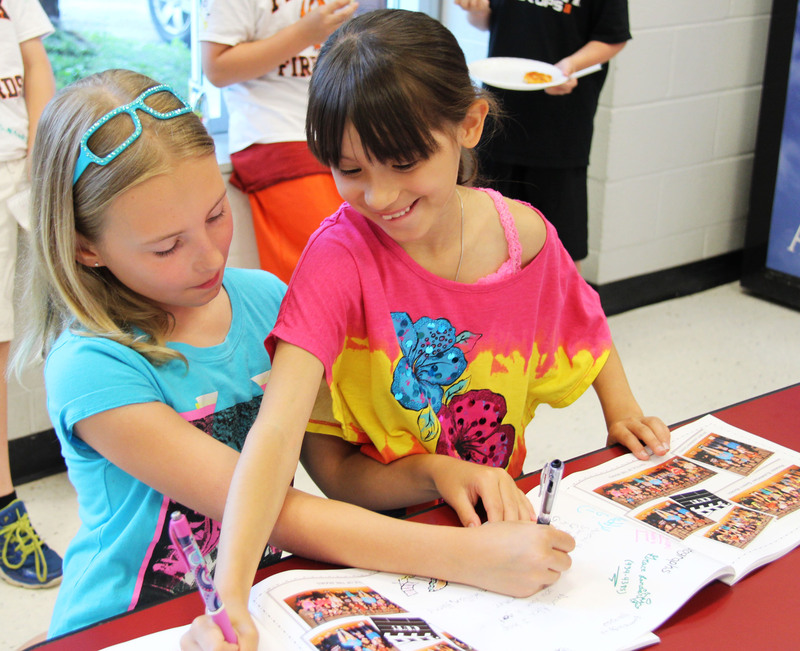 Signing yearbooks at the fourth grade celebration are Chloe Coughlin and Alex Hopps. The “seniors of the school” were recognized for being outstanding leaders and were treated to a pizza party and live DJ. Students also signed each others’ yearbooks and matching school spirit shirts. 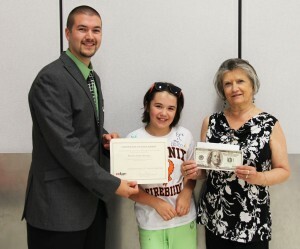 Edge Federal Credit Union awarded Brooklyn Spring with a $100 scholarship to use towards her future college education. She will receive the same amount after graduating from Dillon and again after completing her education from the Phoenix Central School District. The Phoenix Teachers’ Union also presented Spring with a matching $100 scholarship. Scholarship winner Brooklyn Spring stands with Student Branch Manager of Edge Federal Credit Union Cory Sherwood and Phoenix Teachers’ Union President Terry Iorio.